A brief teaser trailer has been released this week for the upcoming GWENT Thronebreaker, a single player story campaign which will be launching sometime before the end of 2017. To recap GWENT as the card game from within the Witcher 3 which has its own stand-alone game available to play on a wide variety of different platforms including Xbox One, PlayStation 4 and PC. Check out the teaser trailer below to learn more about the single player Thronebreaker campaign. Prepare to embark on a new adventure from the world of The Witcher in Thronebreaker — GWENT’s single player story campaign. GWENT: Thronebreaker spins a truly regal tale of Meve — a war-veteran queen of two Northern Realms. Facing an imminent foreign invasion, Meve is forced to once again enter the warpath, and sets out on a dark journey of destruction and revenge. Explore new and never before seen parts of The Witcher world, embark on thought-provoking quests, gather resources, and engage in custom-made story battles, which twist the game’s rules in wildly unexpected ways. 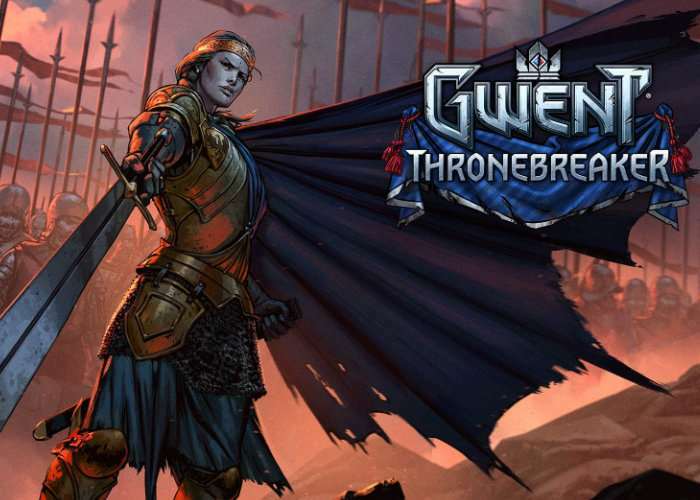 More information on GWENT Thronebreaker which will be launching later this year on Xbox One, PlayStation 4 and PC jump over to the official Play Gwent website via the link below.